AMD announces Radeon R9 Nano, the world's most power efficient Mini ITX enthusiast graphics card. ​AMD today announces its category-creating AMD Radeon R9 Nano, the fastest Mini ITX graphics card ever, to enable 4K gaming in the living room through ultra-quiet, ultra-compact PC designs. First previewed to gamers around the world during the Electronic Entertainment Expo (E3) in Los Angeles in June 2015, the AMD Radeon R9 Nano graphics card is based on the graphics chip codenamed "Fiji", and is the third "Fiji"-based product to launch this summer alongside the AMD Radeon R9 Fury and R9 Fury X graphics cards. 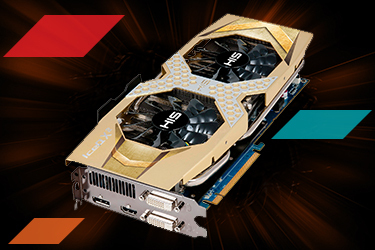 The AMD Radeon R9 Fury graphics family, based on the "Fiji" chip, marks a turning point in PC gaming with the implementation of High-Bandwidth Memory (HBM) to deliver extreme energy efficiency and performance for ultra-high resolutions, unparalleled VR experiences, smoother gameplay, with the Radeon R9 Nano revolutionizing form-factors for enthusiasts everywhere. With 30 percent more performance and 30 percent lower power than the previous generation AMD Radeon R9 290X card, the 175W AMD Radeon R9 Nano is the world's most power efficient Mini ITX enthusiast graphics card. The six-inch long, air-cooled board represents a new class of graphics card, enabling gamers, PC modders, and system integrators to build compact, unique, ultra-small form factors that have never before been possible, opening the door to new, sleek PC designs that are no bigger than a home DVR or videogame console, and look every bit in place beside them. The AMD Radeon R9 line of graphics cards offers a spectrum of products ranging in price from $199 - $649 SEP. Delivering stunningly powerful graphics for unparalleled 4K gaming experiences in their class, the AMD Radeon R9 Series meets virtually every need and budget for anyone who demands a premium gaming experience. The SEP of the AMD Radeon R9 Nano graphics card will be $649 USD and is planned to be available in stores and at participating etailers the week of September 7, 2015.